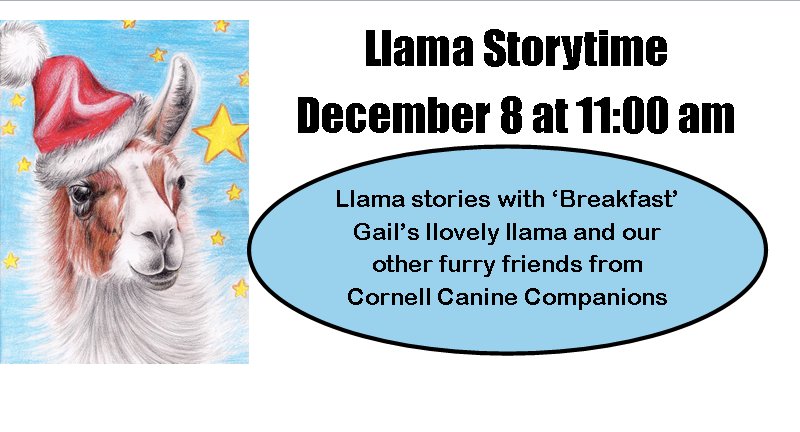 Gail, our resident Llama Llover, brings “Breakfast” to visit at December’s Paws to Read. 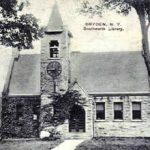 Cornell Canine Companions will be on hand to share stories as well. Llovely Llama stories abound! See you on Saturday, December 8 at 11 am.